The video Donald Trump showed North Korean leader Kim Jong Un and at a press conference following the Singapore Summit had some unusually high — if not over-the-top and questionable — production values, especially for a government-produced piece. 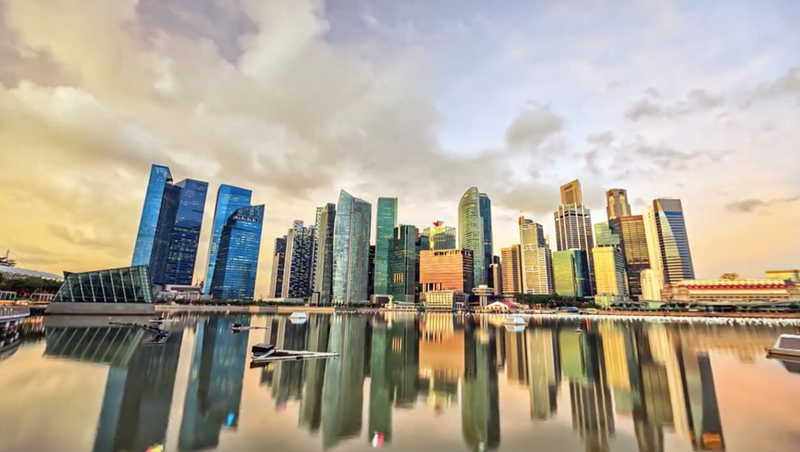 The video, which runs just over four minutes long, was produced in both English and Korean and features a mix of what appears to stylized stock or B-roll footage and editorial-style clips. Flashes of light and quick, skillful editing complete the look. The video starts with an opening title reading “A Destiny Pictures Production” and features a male voiceover reading an embellished script that also manages to sound hard-hitting and optimistic. This title, along with the closing one reading “The future remains to be written,” is rendered in gold lettering with a strong gradient. A similar look is used for two quotes — one from Kim and the other from Trump. The clips featured are overwhelming positive in tone — and include references to science, technology, the Olympics, media and culture. Also included in the video are slick video editing effects, including map overlays, digital globes and filmstrip-style compositing. 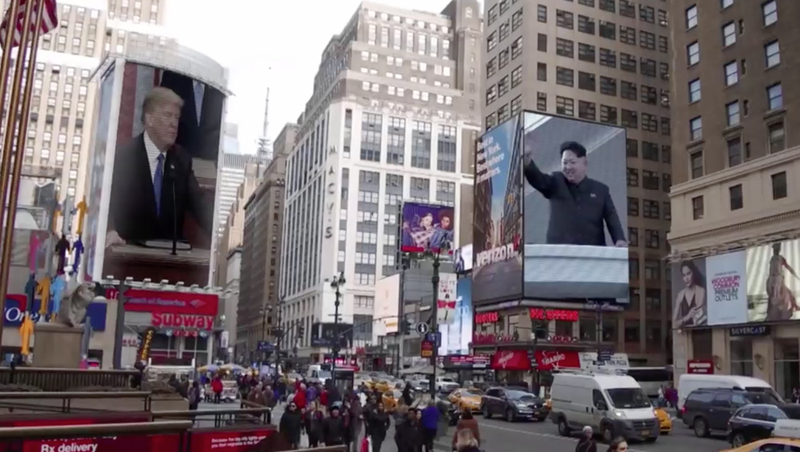 The video also features a scene of New York City that appears to have had images of Trump and Kim overlaid over large traditional and LED billboards outside of Madison Square Garden. Labeled by some as “propaganda,” the video notably leaves out any reference to Kim’s alleged human rights abuses or lavish lifestyle, though imagery of the Korean military and the border fence are included. North Korea has been accused of not only producing state sponsored propaganda and media, but also digitally manipulating images it releases to the press.